Meet our Consultants - Delta Consultants of South County, Inc.
Mary Ann M. Abney, APRN, CNS is a licensed Advanced Practice Registered Nurse and a Board Certified Clinical Nurse Specialist in Child, Adolescent, and Adult Mental Health Nursing. 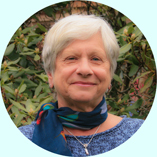 She has over 30 years of experience in the mental health field, having worked in a variety of inpatient and outpatient settings, including 25 years in private practice. Mary Ann provides psychiatric evaluations and medication management, as well as individual and family interventions. She treats a variety of mental health problems including ADHD, Bipolar, depression, anxiety, OCD, Autism Spectrum, trauma, loss and grief, chronic medical illnesses, and disruptive behaviors. Children and adolescents are evaluated and treated both individually and in the context of their families. As an avid meditator and trained yoga teacher, Mary Ann believes there are many paths to health and well being beyond the prescription of medication. Attention to life style choices, social and emotional well being, and family harmony are essential to long term health and happiness. Jacob T. Abraham, MD is a child, adolescent, and adult psychiatrist who also has a degree in psychology. He provides psychiatric assessments, school consultations, medication management, and individual and family treatments. He treats a range of problems including ADHD, depression, anxiety, autism spectrum, adjustment reactions, psychotic disorders, bipolar mood problems, addiction, and the sequelae of trauma and abuse. He has 20 years of experience and utilizes a variety of evidence-based therapy techniques to fit the needs of his clients (cognitive-behavioral, DBT/mindfulness) as well as body-based trauma treatments, dynamic, play, and art-oriented treatments. William V. Catone, PhD provides psychological services to children, adolescents, adults, families, and couples. Dr. Catone has over 30 years of experience working as a school psychologist in public and private school settings where he specialized in psychological assessment, behavior management, counseling, and parent/teacher consultation and training. Clinically, he specializes in the application of cognitive-behavioral principles to the treatment of a variety of social-emotional difficulties including depression, anxiety disorders, problems with attention and concentration, executive functioning deficits, anger management, and social skills deficits. Thomas J. Comiskey, PhD has extensive training in both clinical and school psychology, and specializes in working with acting out adolescents, self esteem issues, obsessive compulsive disorders, and stress management. In addition, he consults with agencies and small businesses on team building and implementation of strategies. 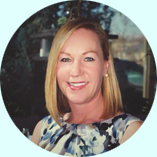 Rachel N. Cooney, LICSW brings 30 years of experience working with children and their families both in a school setting and as part of a neurodevelopmental evaluation team. She provides individual, group, and family treatment for children, adolescents, and adults. She has had extensive training in working with Asperger’s Disorder, autism, anxiety disorders, divorce issues, social skills, anger management, and trauma. She is also trained in sandtray, play therapy, mindfulness, cognitive-behavioral principles, grief and loss issues, and gender identity and GLB (gay, lesbian, and bisexual) concerns. Christine S. Forsyth, MSW, LICSW is a Licensed Clinical Social Worker with over ten years of experience working with children, adolescents, and families. She specializes in trauma, child abuse, post traumatic stress disorder, attachment issues, grief and loss, anger management, anxiety, depression, ADHD, family therapy, LGBTQ, and the Child Welfare System. She brings her passion for foster care, adoption, families, and the Child Welfare System into her work with her clients. She integrates her knowledge based on life transitions and the LGBTQ community to her strength-based practice working with youth and families. Tracy Rae Hart, LICSW, earned her MSW degree at Smith College School for Social Work in 1993. She works with children, adolescents, individuals, couples, and families.Tracy is expert in play therapy with children, as well as the use of guided visualizations to assist young and older adults to access their inner strength and wisdom. Additionally, she may offer behavioral-cognitive and/or psychodynamic approaches to bring about positive change, and believes in a holistic approach to healing. She specializes in self-esteem issues, stress and anxiety reduction, depression, relationship issues, communication improvement, adult children of alcoholics, and issues related to sexual and physical abuse. Renée Lamontagne, M Ed, LMHC is a Licensed Mental Health Counselor with over 20 years of counseling experience. She works with adults and specializes in services to adolescents. Although Ms. Lamontagne has worked extensively with adolescents and young adults ages 10 through college, she views counseling as a family approach in what she coins “whole home health”. Her primary interests include ADHD, behavior management and coping skills integration, anxiety, stress management, family systems, self-injurious behaviors, and grief and loss. Other strengths include COA (children of alcoholics), divorce, sexual identity issues, and sexual abuse; she also has extensive training in Relational-Aggression (a manipulation calculated to hurt or control another child’s ability to maintain rapport with peers, particularly between girls). Jill S. Moretti, APRN, CNS is a licensed Advanced Practice Registered Nurse and a Clinical Nurse Specialist whose career spans 40 years, 25 of which have involved specializing in adult psychiatric/mental health nursing. She is a graduate of both the University of Wisconsin and the University of Rhode Island. She utilizes psychotherapy and psychopharmacology (prescriptive authority) in her evaluation and treatment of adults ages 18 through the lifespan. She is a Certified Public Health Nurse who has worked in a variety of clinical areas including consultation to both hospitals and long term care settings. Her areas of expertise include anxiety, depression, mood and personality disorders, schizophrenia, bipolar disorder, obsessive compulsive disorder, and panic disorder. Vicki L. Moss, PhD is a Licensed Psychologist who has been involved with Delta Consultants since its inception in 1977. Dr. Moss utilizes a variety of approaches in her work with clients, depending upon the needs of the individual or family. These include cognitive-behavioral strategies, clinical hypnotherapy, and Emotional Freedom Technique (tapping). Areas of specialization include stress and anxiety reduction, adoption issues, developmental trauma disorder (reactive attachment disorder), therapeutic parenting strategies and psychological assessment. Lynn K. Nicoletta, LMFT, PhD is a Licensed Marriage and Family Therapist and Clinical Psychologist with over 20 years experience treating adolescents, adults, and families. She has been trained extensively helping couples resolve relationship conflicts, improve communication skills, and cultivate a capacity for empathic connection. In addition, she is adept at assisting families manage the crisis of divorce as they learn to develop coping skills necessary to adapt to future uncertainties. Her areas of specialization are depression, anxiety, OCD, extreme stress and related illnesses, anger management, eating disorders, and trauma. Components of Mindfulness including relaxation training, life in the moment, and grateful acceptance are fundamental components of Dr. Nicoletta’s approach to psychotherapy. Vivian J. Reddin, M.A., LMHC, is a licensed Mental Health Counselor who works with children, adolescents and adults. She has worked over 20 years in schools, clinics, hospitals, and in-home treatment. She has expertise in PTSD, ADHD, trauma, grief and loss, substance abuse, low self-esteem, depression, and anxiety. She uses cognitive behavioral techniques as well as meditation, mindfulness, effective breathing and body postures to increase concentration, improve muscle relaxation, ease chronic pain, and improve sleep. She is also a Yoga instructor, which she incorporates into the healing practice. Her sense of humor brings laughter to the healing process. She has research background in Health Psychology integrating the mind/body connection to find practical, common sense solutions to ease stress and find happiness in everyday events. She uses psychoeducation to help understand the symptoms that are causing the problems. Mary T. Schatz, MSW, LICSW is a Licensed Clinical Social Worker with over 40 years of therapeutic experience working with children, adolescents, young adults and their families, primarily within the school setting where she designed and implemented programs for behaviorally dysregulated and developmentally delayed students. She specializes in working with neurobiological disorders such as Tourette Syndrome, Obsessive Compulsive Disorder, and Anxiety Disorder. She is also trained in grief work (particularly with clients following loss from suicide), behavioral management, and social skills training. Ms. Schatz is a graduate of Loyola University in Chicago, has served on the Board of Directors of the Tourette Syndrome Association of RI, and has co-facilitated youth support groups for those with Tourette Syndrome and their families. She primarily works with the modalities of cognitive-behavioral therapy and insight therapy. Amy Adolfo Signore, PhD, MPH, Dr. Signore earned her Doctor of Clinical Psycology degree at the University of Rhode Island. She also earned a Master of Public Health degree from Brown University and a Bachelor of Science in Psycology from Tufts University. Dr. Signore received specialized training in pediatric psycology at Geisinger Medical Center, Danville, PA. She currently works with families to address a variety of behavioral and mental health problems. She assists medically complex patients with treatment adherence and pain management. She helps children learn coping strategies for managing stressful life situations such as parental separation, improve academic performance and reduce disruptive behaviors. Dr. Singore treats anxiety, depression, trauma and she has experience working with diverse populations including LGBTQ youth and young adults. Jayson J. Spas, PhD, MS, LMFT is a clinical psychologist and a marriage and family therapist. After completing doctoral-level training, Dr. Spas completed a postdoctoral fellowship in the Department of Psychiatry and Human Behavior (DPHB) at the Alpert Medical School of Brown University, where he also served as Project Director in the Department of Medicine at Rhode Island Hospital. As a scientist-practitioner, Dr. Spas has extensive clinical and research experience working with substance use disorders, depression, anxiety and dual diagnoses, which includes an independent research program: http://spaslab.wix.com/drjaysonjspas Dr. Spas is currently a Professor in the Department of Psychology at Rhode Island College, Affiliate of South County Hospital and a Member of numerous professional organizations. Lizbeth E. Wolfgang, PhD is a Licensed Psychologist specializing in working with children, teens and their families. Not only has she been working in private and community settings for over 25 years, she is a mother of 4 so she understands, both professionally and personally, how challenging it is to raise children in today’s world. Her areas of specialization include anxiety disorders, stress management, adolescent self destructive behavior, depressive disorders, trauma and child sexual abuse, post-traumatic stress disorder, school functioning and consultation.